Every business is unique, with unique real estate needs. Likewise, every site selection proceeds according to the distinct characteristics of the business and market in question. However, most successful site selections usually progress through 10 broad steps. Below, I outline these steps and the time they should occur. Please note that, for the purposes of this article, I assume an office size of approximately 10,000 square feet. If the tenant is looking for fewer square feet, then less time is required for each step; if the tenant is looking for more square feet, then more time is required. The time frames also assume that the properties already exist. If a facility is to be newly constructed, please add 9 months to one year to the time range. These time frames are ideal, but the process can be completed on a tighter schedule if necessary. I have done so many times! For more information about site selection, please contact me at (630) 805-2463 or troy@goldengroupcre.com. Or, click here to send me your contact information and market requirements – I’ll respond within 24 hours with available listings which fit your needs. 1. 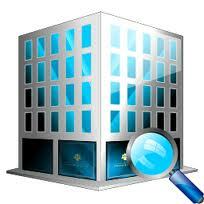 Select a tenant representation commercial real estate broker who specializes in relevant property type and market. Click here for more on tenant representation. 10 – 12 months before lease expiration date. 2. With your tenant representation broker, develop facility/site criteria. Click here for more on site selection criteria. Based on your criteria, develop a list of properties to tour. Tour selected properties, taking detailed notes (see 5 Tips for Touring Office Space). Develop a short list of 5 or so properties based on tour results, preliminary financial information provided by broker. 10-12 months before lease expiration date. 3. Using financial analysis, narrow alternatives to 2 or 3 options. Click here for more on financial analysis. 8-10 months before lease expiration date. 4. Begin the space planning process. 8-10 months before lease expiration date. 5. Submit a Request for Proposal (RFP) to final 2 or 3 alternatives, creating competitive bidding environment. Submit RFP to current landlord if renewal is a possibility. Click here for more on renewal negotiations. 6-8 months before lease expiration date. 6. Receive and evaluate initial proposals from landlords. Update financial analysis with new data. Re-tour if necessary. Reconsider priorities. 4-6 months before lease expiration date. 7. Empower your tenant representation broker to negotiate on your behalf and to create a competitive bidding environment. Use market research to inform your negotiation (click here for more). Enter the negotiation with clear objectives (click here for more) and uncover the landlord’s hidden agenda (click here for more). 4-6 months before lease expiration date. 8. Once both parties reach a general consensus on economic terms, sign a nonbinding Letter of Intent (LOI) to document the agreement. 4-6 months before lease expiration date. 9.Receive the lease and check it for accuracy. Retain an attorney who specializes in commercial real estate to negotiate the contract. 3-5 months before lease expiration date. 10. Begin construction on space as soon as lease has been signed and final space plan approved. Choose a move coordinator, hire your moving company, and plan your move (click here for more on choosing your move coordinator, click here for more on moving companies). 2-4 months before lease expiration date. Feel free to contact me for additional information at troy@goldengroupcre.com or (630) 805-2463. I like to bring an architect or space planner to either the first or 2nd meeting to do a program to determine an approximate # of sf needed now and in the future as well as # of offices, conf rooms, etc..
Once I have that then I begin researching possible options that match or could be made to match our current and future needs. Many of my clients have found this meeting to be very valuable.